The abandoned bridge over the Seekonk River caught my eye as I was bicycling on the East Bay bike path. The drawbridge was built around 1908 and abandoned in 1976 and has attracted countless visitors since. The draw bridge is an old railroad bridge. Freight trains used to cross the bridge and into Providence, traveling through an tunnel that runs under College Hill. 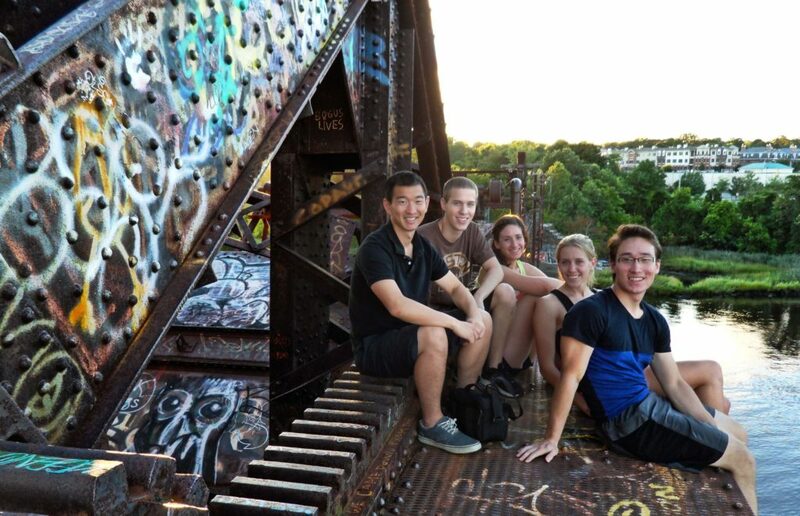 After a short walk from Brown University campus and a steep flight of stairs, we reached a ledge with a wonderful view of the Seekonk River. 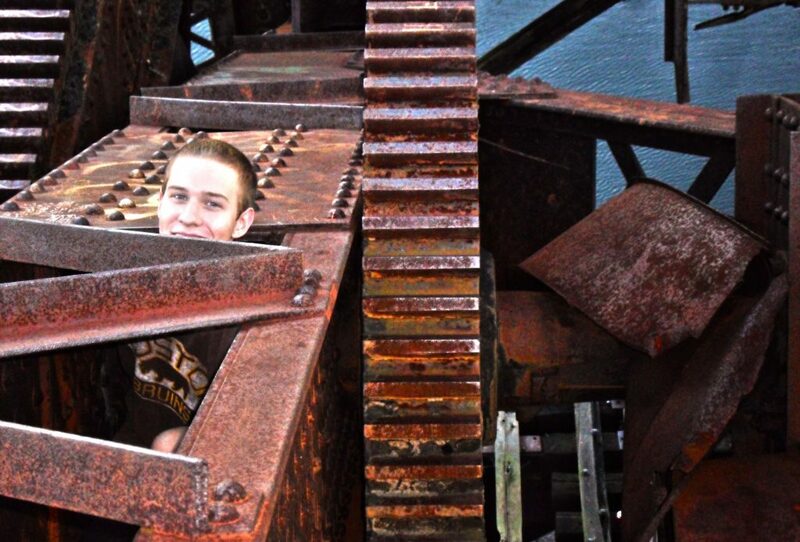 The drawbridge is full of huge gears and interesting mechanical parts, as well as a lot of graffiti and places to hide! 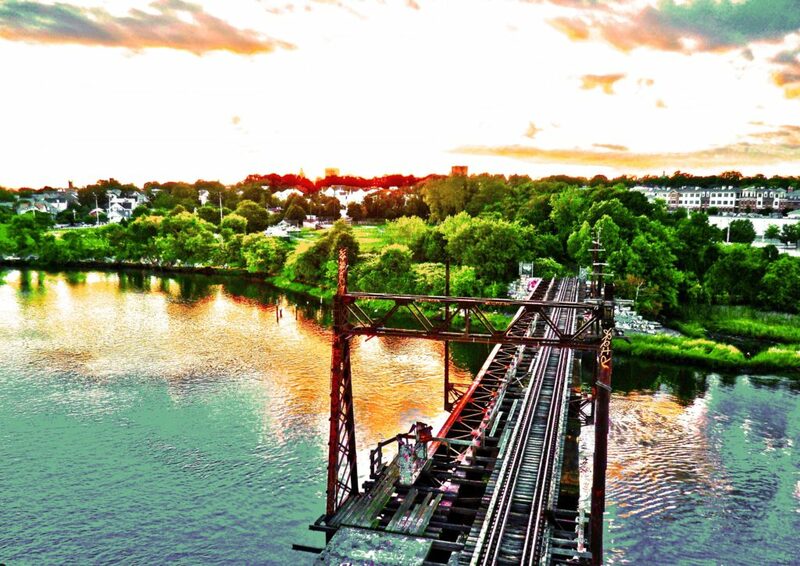 On our way down, we were greeted with this amazing view of East Providence at sunset. What a great way to spend a relaxing summer day!